Browse: Home /	Community Building, Community Gardens, Composting, Food, Sustainable Flatbush News, ZERO WASTE / Compost Update: August! We were wondering exactly how hot the compost piles really were, so we decided to put our guesses aside and put a compost thermometer to use. Maintaining high temperatures is critical for composting quickly, and this 19” stainless steel probe makes it easy to monitor the temperatures at the center of our piles; turns out they are averaging 140 degrees Fahrenheit, and 160 degrees Fahrenheit at peak. 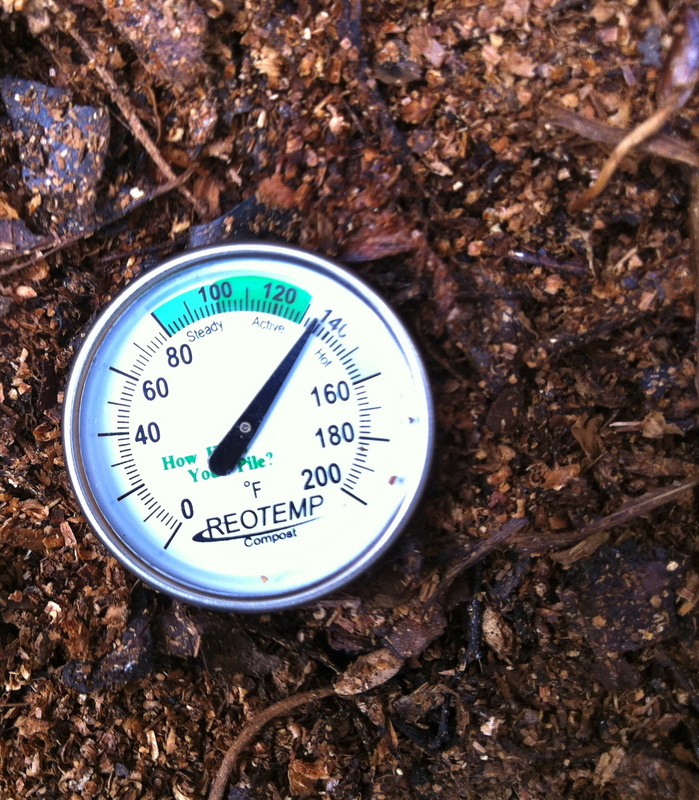 Since bacterias work best at 120 to 160 degrees Fahrenheit, we could easily tell when the compost needed more oxygen or when it was cooling down, and ensure that bacteria are working at optimal temperatures, saving us from doing unnecessary turning. Come check out our garden projects and join us for compost work during any open hours on Wednesdays 5:30 – 8pm and Saturdays 11am – 1pm. 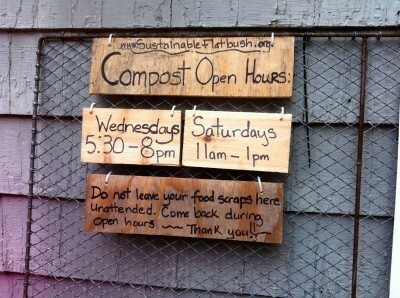 If you’d like to become a member of the Compost Team, please contact Kady (at) sustainableflatbush.org. 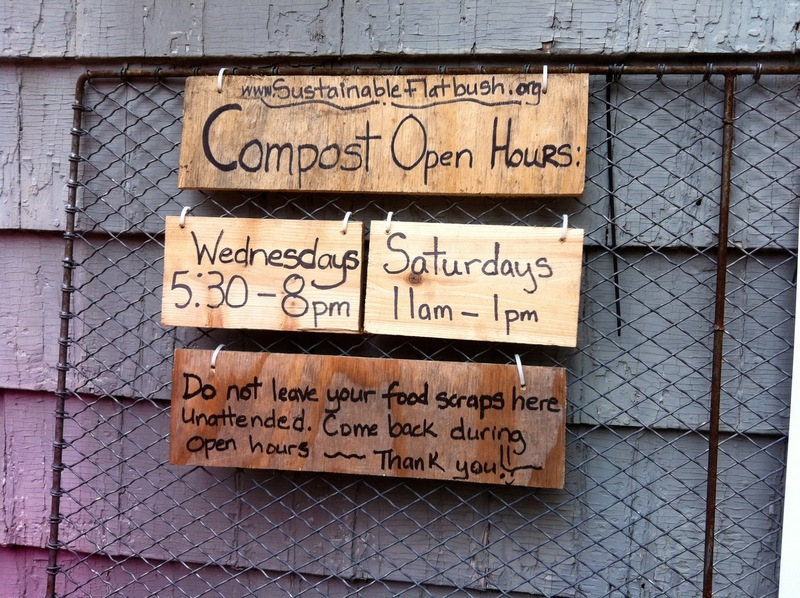 Compost Open Hours - come by and say hello! Be sure to visit us on Saturday August 18th for a FREE community meal, where we continue our theme of Healthy Eating on a Budget – using summer foods.